Clad in distinctive metallic armor, Captain Phasma commands the First Order’s legion of troopers. Star Wars Pop! 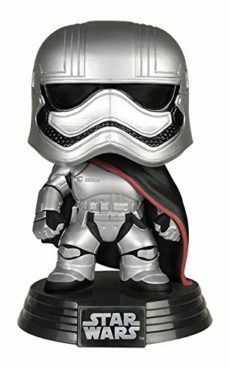 bobble-head figures are 3.75 inches tall and come on a decorative Star Wars stand! Collect yours today!